Agility Clinics offered by E.A.T. Updated Monday September 24, 2018 by NYFC. Improve your athleticism by increasing your strength and agility while having fun! 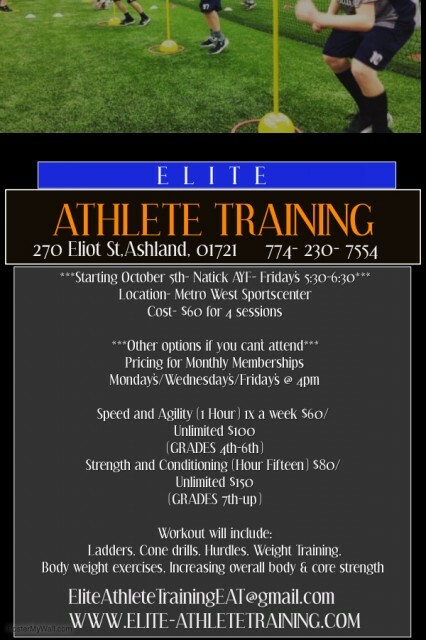 Former college stand-out, NFL prospect and current coach and athletic trainer Eric Dickson is offering an ongoing, weekly program at his Ashland, MA facility. A percentage of each registration is being donated back to the NYFC program. This clinic is open to boys and girls and all types of athletes - not just football players and cheerleaders. See the attached flyer for program specifics. To register, email/call Eric (see flyer for contact info).